Krzysztof Wisniewski graduated in 2004 from University “Warmia and Mazury” in Poland. From the very beginning he was involved in small animal work. At first, he spent three years in modern, referral pet hospital in Poland, then he moved to Ireland and worked for famous orthopaedic specialist William McCartney and in the end he gained invaluable experience working sole charge in Newbridge Veterinary Clinic. Having over 8 years’ experience on board and have been dealing with wide range of different cases, including: consultations, surgeries, emergencies, etc…, he decided to open his own veterinary clinic. 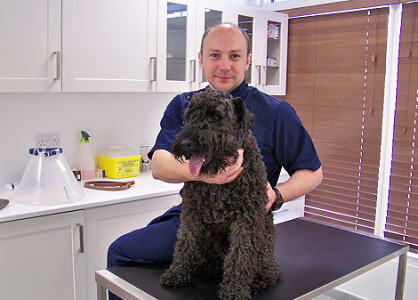 Krzysztof Wisniewski is hard working and determined vet, keen to help and get the proper diagnosis for your pet. He is also striving to keep his knowledge as much up to date as possible by attending many of seminars, doing practical courses and studying towards RCVS certificate in Small Animal Dermatology at University of Liverpool. 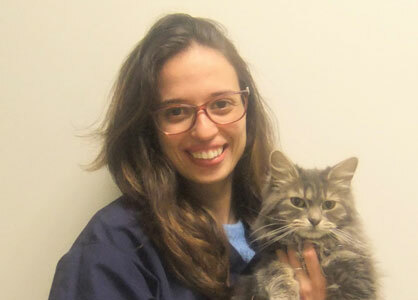 Blanca graduated in 2018 with degree of Veterinary Medicine from Cordoba University in Spain. She has always had great empathy for animals since childhood. Although she has confessed that she has a special place in her heart for cats. She has a keen interest in Internal Medicine and attends many courses throughout the year to improve her knowledge and learning in this field. She is bilingual - can speak Spanish and English fluently but in her free time she is also learning to speak German. She has many pets at home in Spain and misses them everyday! One day hopefully they will join her soon in Ireland. Originally from Kells, County Meath, Shónagh graduated from DKIT in 2008 with a Bachelor of Science Degree in Veterinary Nursing. She has been working in Applewood Veterinary Clinic since 2016. She has worked in many different clinics over the past 11 years and has experience when dealing with almost every kind of animal. This comes in very handy at home where she has all sorts of pets - dogs, cats, rats & budgies! Shónagh has a particular interest in Nutrition and Physiotherapy. She currently runs Pet Slimmers appointments to help owners manage their pets weight and nutrition at Applewood Veterinary Clinic. She strives to upkeep a high level of learning by attending Seminars and CPD courses around work every year and applying her new knowledge to everyday Nursing in the clinic. She is always available to talk to when you visit Applewood Veterinary Clinic. 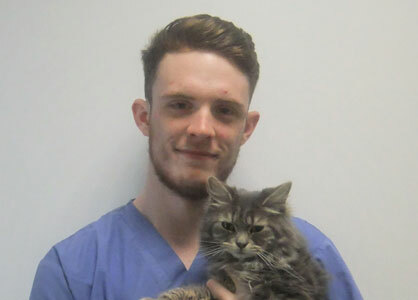 David joined Applewood Veterinary Clinic in 2018 as a Veterinary Assistant. He has a love for animals and has worked has been employed in the Veterinary field since 2014. He has 4 dogs and a cat that he hand reared from the day it was born. He has experience the Veterinary team with surgeries and consultations, and loves expanding his animal care knowledge as much as he can. 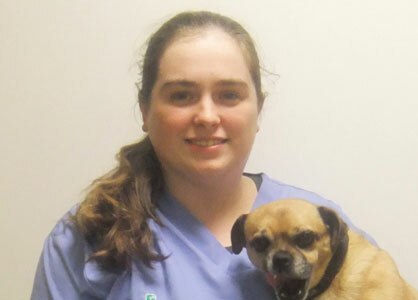 Faline joined Applewood Veterinary Clinic in January 2019 as a Veterinary Receptionist. She has a B.A. honours degree in Zoology from Trinity College Dublin and has a strong passion for animal welfare. 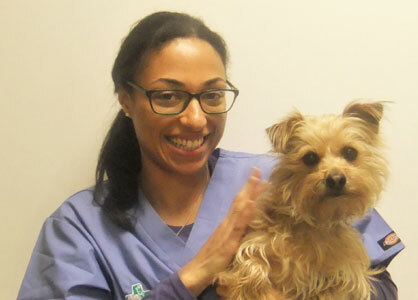 After working abroad in Malta for a year as a Veterinary Receptionist she realised how much she loved the Veterinary field. She loves learning about the various areas in veterinary medicine and plans to study to become a Veterinary Nurse in the future. © 2018 Applewood Veterinary Clinic. All rights reserved.